The 3- Port HDMI switch allows 3 HDMI ports to be switched to a single display terminal via remote control or buttons on unit. 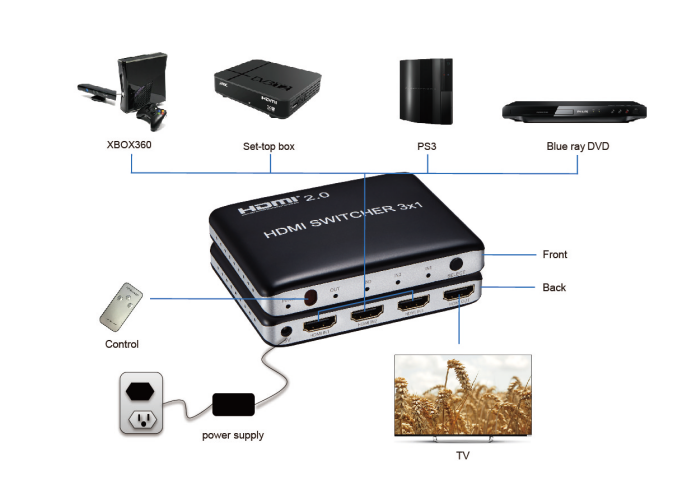 This HDMI Switch supports video formats including 720p, 1080i , 1080p, 4K/30HZ，4K/60HZ. 3. Connect the switcher with 5V/1A power adapter.